We needed to get under the skin of Stranger Things fans to understand what excited them most, and how our product could add real value they’d want to interact with again and again. By combining data from sources including Moz, Audiense and IBM Watson, we profiled the show’s biggest fans, and uncovered their unique behaviours and preferences. Naturally TV came out top, but digging a little deeper we discovered a love for gaming, comics (2% list their location as ‘Gotham’! ), alternative music, and the news. Armed with this data, we identified four of the most resonant themes for our bot to tap into: music, characters, news and ‘The Wall’. The bot’s decision-tree architecture introduces users to new ways of interacting with Messenger, encouraging them to explore the full breadth of features via quick-responses and button prompts, without barring free-text input. In this way, fans are rewarded for delving deeper, discovering a wide range of rich content including embedded podcasts, Spotify playlists, video links and jokes. 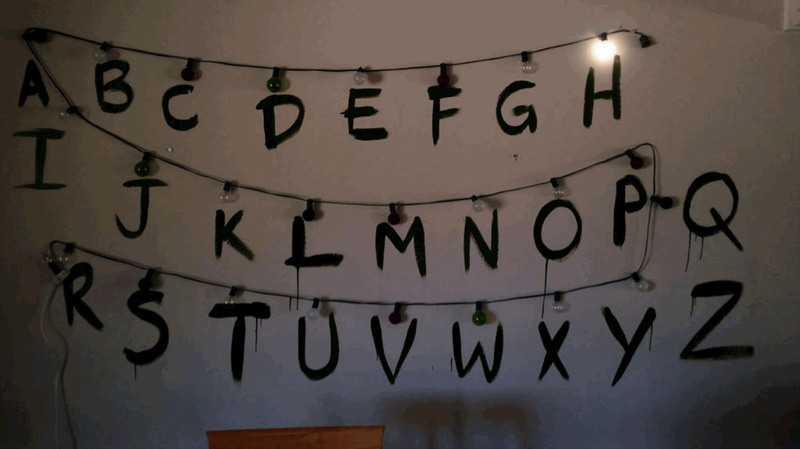 Rather than forcing fans to answer tedious questions to find what they want, we introduced an innovative take on the platform where El Bot ditches text responses in favour of an ever-growing catalogue of GIFs spelling out answers in Christmas lights, as if spoken from the the show’s alternative ‘Upside Down’ universe. By routing through a custom RunKit API, we linked Chatfuel and Google’s Dialogflow to improve the bots’ natural language processing capabilities. This means that by monitoring fans’ interactions, El Bot quickly matches recurring inputs and phrases with the ‘intent’ behind them. In turn, predefined ’entities’ ranging from the character names and actors to the show’s directors and composers enable the bot to deliver relevant responses rather than error messages, understanding the context of each input to provide a coherent, linear discussion. 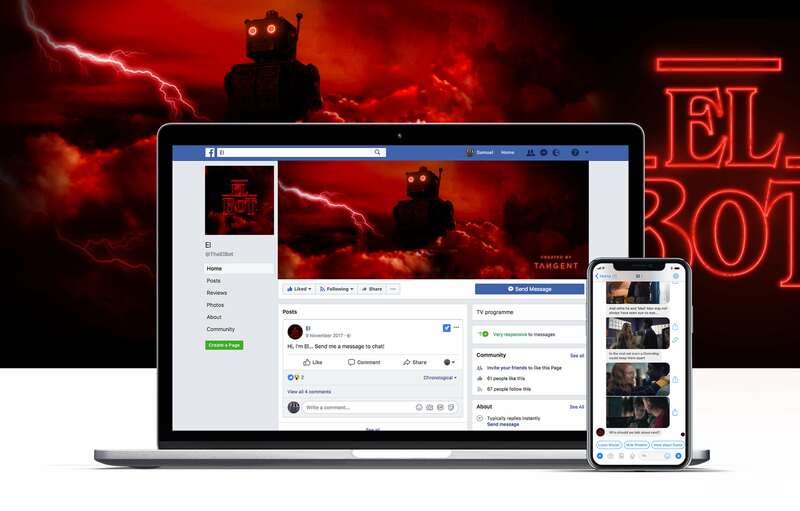 In just six weeks, El Bot chatted with Stranger Things fans from all around the world, as well as achieving excellent broadcast message open rates and user retention.